The Liverpool born politician has certainly enjoyed his time at Westminster so far but explains how cuts and austerity cause devastation to his constituents in Liverpool. One big consequence of austerity in Liverpool is the closure of small music venues across the city. The Walton MP points to his party’s historical relationship with music. Talking about his own music tastes, Carden remembers going to The Picket on Hardman Street when he was young and now enjoys artists such as Paul Simon, The Beatles, Bob Dylan and Neil Young. Another major issue Carden feels important at this current time is concerns over mental health. 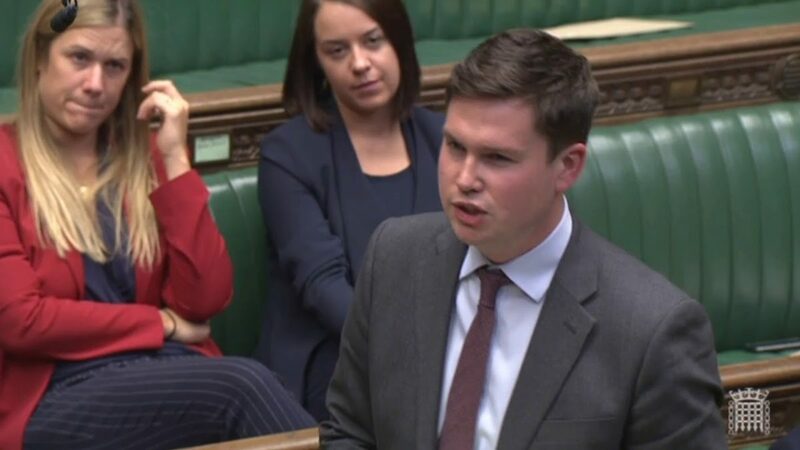 In his first 12 months Parliament the Walton MP has been handed a front-bench role, becoming Shadow Minister for International Relations earlier on this year. Whilst representing his constituents is his main aim, he does find it ‘incredible’ that the party has had faith in him to hand him the role. For things to get better for both home and foreign affairs, Carden feels a Labour government is needed. The Walton MP has been a Corbyn supporter from the start, backing him in the first leadership campaign. Despite recent problems once again within the party, Carden feels things have been a lot better since the election. Carden’s relationship with politics all stems from his and his family’s link with trade unions. He does believe it isn’t entirely negative with there being some good successes, including UNITE against Sports Direct where work conditions and pay was improved. Carden feels unions need to modernise, using the example of McDonald’s staff fighting for ten pounds an hour. During his time at University, Carden took part in a campaign for the living wage and was the chair of the Labour club. Within the trade union he was also youth executive for both transport and general workers union as well as being the National Labour Youth executive. Over the last nine months the MP has not had much spare time and hopes he’ll have more of a life as he settles in to the job. His interests includes cooking, horse racing football and seeing friends and socialising.